A few photos from the Sons of Italy Honoree Luncheon. Il Circolo, the Italian Cultural Society, donated $3000 to the Palm Beach Opera’s Young Artists Program. These talented, aspiring singers are given an opportunity to perfect their skills and learn the techniques necessary to achieve their goal of “Opera Star.” Along the way, they perform at various functions where they demonstrate their vocal talent and acquire notability. One of these functions will be sponsored by Il Circolo at Palm Beach Atlantic University on Sunday, February 4 at 2 pm. The program, “Opera Highlights,” chaired by Rick Zullo of the Palm Beach Opera Staff, will feature excerpts from Italian operas. Admission is free, but contributions to Il Circolo Scholarship Program are appreciated. 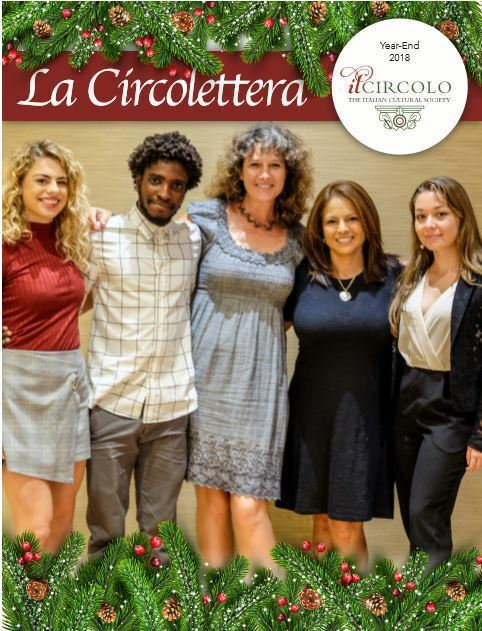 Il Circolo, the Italian Cultural Society, held its annual Christmas party, Natale in Famiglia, at Boca West Country Club on Sunday, December 10, 2017. Catering manager, Andrew Masia, went out of his way to provide an outstanding holiday atmosphere and menu for the more than 120 guests in attendance. Gino De Marco provided holiday songs and familiar tunes throughout with a special appearance by tenor, Carlos De Antonis, who performed some Christmas tunes and favorite arias. He was accompanied by Sergio Salani on the piano. The scheduled portion of entertainment ended with Babbo Natale, the Italian Santa, arriving with gifts for the children. But it didn’t end there. Among the invited guests were Rock & Roll Hall of Famer, Dion and his wife, Sue, who attended to help celebrate their friend, President of Il Circolo, Paul Finizio’s, milestone birthday. To everyone’s surprise and delight, Dion, in the holiday spirit, took the stage and in no time flat, had the entire room dancing to his inimitable, unmatched music and singing. What a fantastic, unexpected addition to an already successful event for all who came! 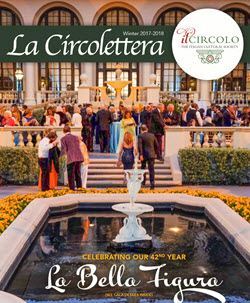 Il Circolo is grateful for its many blessings throughout its 42 years. Its dedication to preserving and promoting Italian culture through education has brought many rewards and beautiful memories while achieving its goals. More than 100 guests gathered Jan. 29 at a dinner that Il Circolo hosted at Cafe Sapori to celebrate the food and wine of the region of Puglia, Italy. Operatic tenor Carlo De Antonis thrilled attendees with his rendition of the aria Nessun Dorma, from Puccini’s opera Turandot. Joe Spadaro circled tables playing his mandolin, and Joe Carriero sang Italian songs.